Model photos shown. 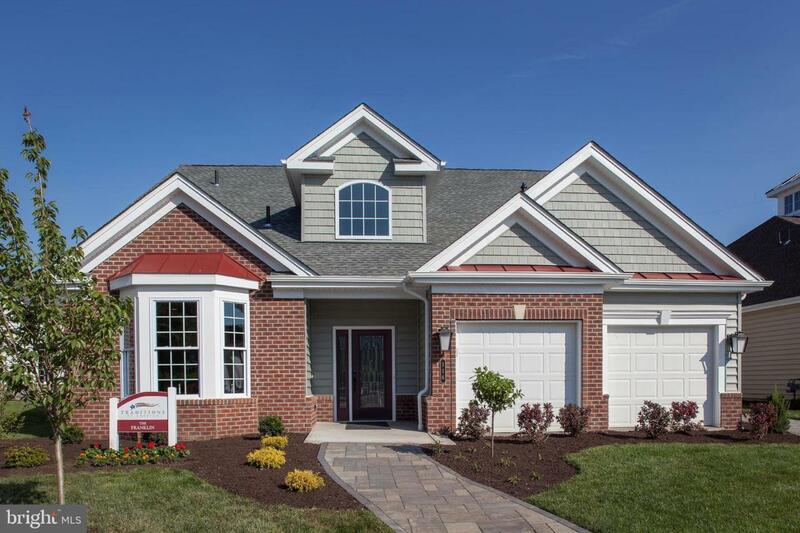 TBB Franklin I at Traditions of America at Silver Spring 55+ Resort Lifestyle Community. Chef's Kitchen opens to Great Room and includes large pantry, granite countertops, recessed lighting, hardwood or ceramic tile flooring. Optional alternate Kitchen layout includes island and Butler's Kitchen. Private entrance to spacious Master Suite w/ His & Hers WI closets, luxurious Bath with oversized dual vanity and enclosed toilet area. Living Room at front of home can be converted to Bedroom/Office. Inviting, extra-wide Foyer. Single level living with 2 beds/baths, optional 2nd level adds Loft & 3rd bed/bath. Hardwood and ceramic tile flooring included in select locations. Custom program available. Renowned 1-2-10 home warranty included. Say goodbye to mowing & shoveling. Live Better at Silver Spring and enjoy the National award-winning Clubhouse with sports bar, fitness center, heated outdoor & indoor pools, tennis court, firepit & more!